Avendus advises D.S. 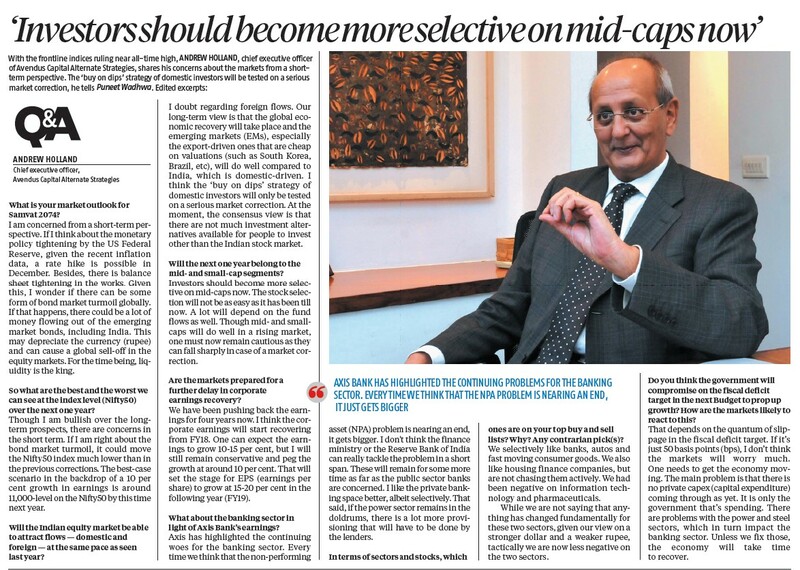 Gupta Construction on the strategic acquisition by Blue Star Ltd.
George Mitra, MD & CEO, Avendus Wealth shares his views on the recent wariness among HNI’s regarding investing in AIFs. 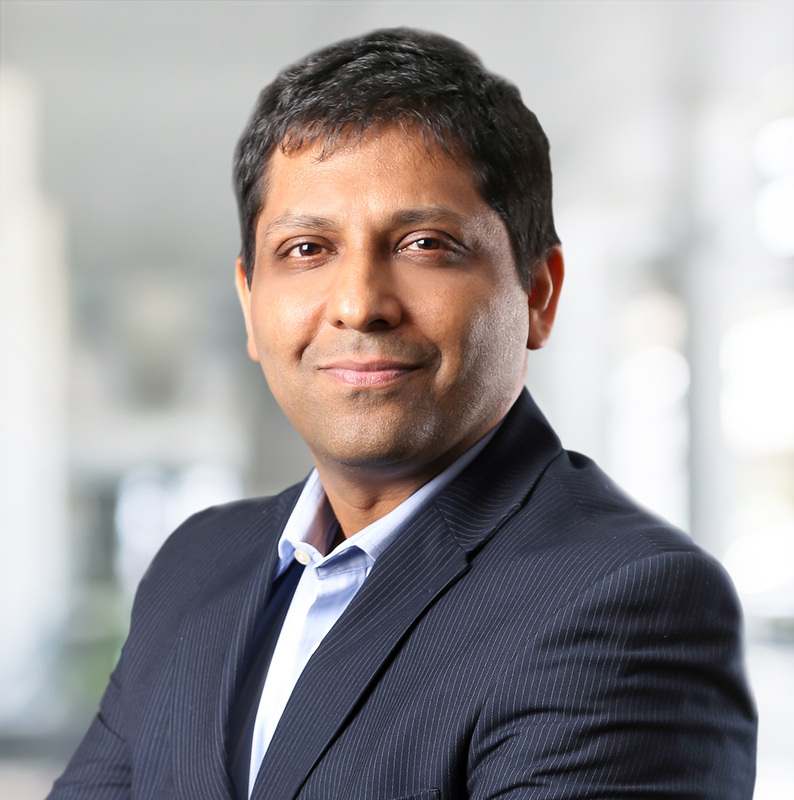 Ritesh Chandra, Managing Partner - Avendus Capital, says, the key thing to observe will be the downstream transmission of the rates eventually to the consumer. 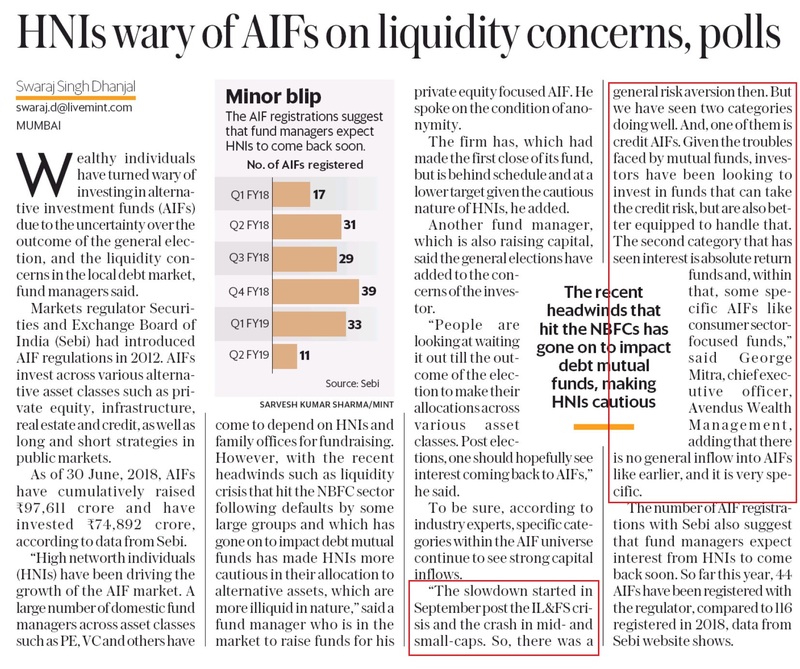 Sandeep Thapliyal, MD of Avendus Finance, the NBFC arm of Avendus, comments on RBI’s decision to cut rates further by 25 basis points, says, after IL&FS crisis the market has really tightened. 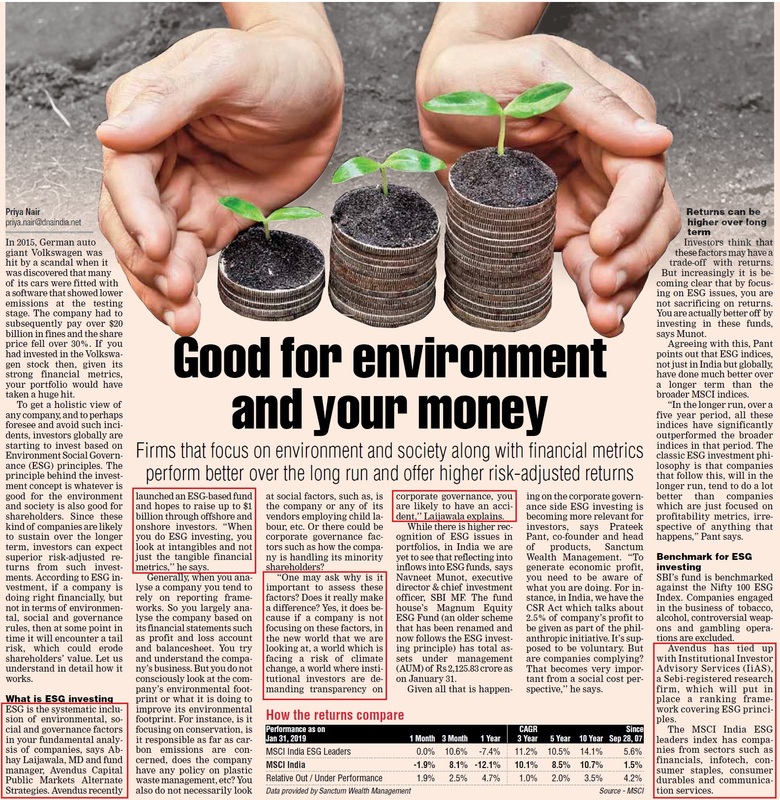 Abhay Laijawala, Managing Director, Avendus Capital Public Markets Alternate Strategies LLP, on how ESG investing looks at intangibles and not just the tangible financial metrics. Can ESG funds change the way business is done? Ritesh Chandra, Managing Partner, Avendus Future Leaders Fund, speaks on the NBFC crisis, the role of PE firms, Demonetisation and GST. 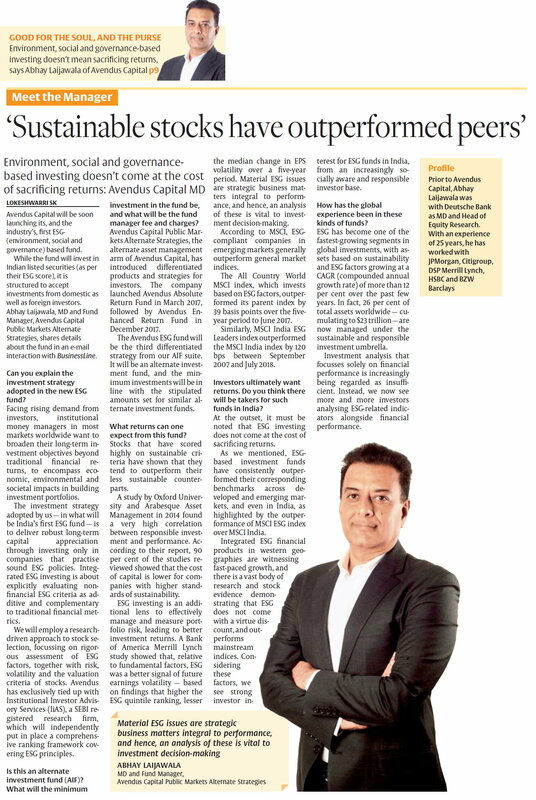 Abhay Laijawala, Managing Director, Avendus Capital Public Markets Alternate Strategies LLP, on the benefits of environment, social and governance based investing. Andrew Holland, CEO, Avendus Capital Public Markets Alternate Strategies LLP and Vaibhav Sanghavi, Co-CEO, on 'How India’s Largest Hedge Fund Avendus Capital Deals With Volatility'. 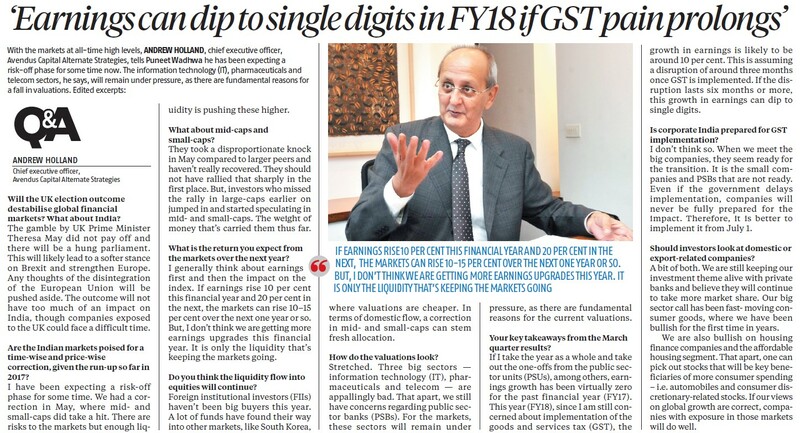 Vaibhav Sanghavi, Co-CEO, Avendus Capital Public Markets Alternate Strategies LLP, on how there is an emphasis on high cash flow companies. Andrew Holland, CEO, Avendus Capital Public Markets Alternate Strategies LLP, on exploring the market conditions of today and comparing it with the 2008 crisis. 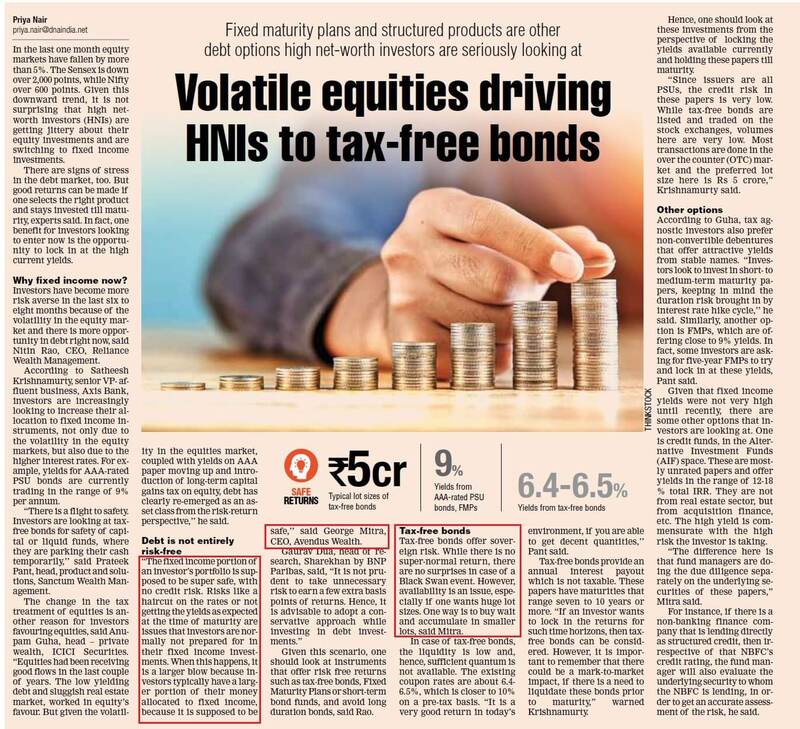 Avendus Wealth CEO George Mitra's views on how HNIs are looking at tax free bonds due to volatility and uncertainty in the equity markets. 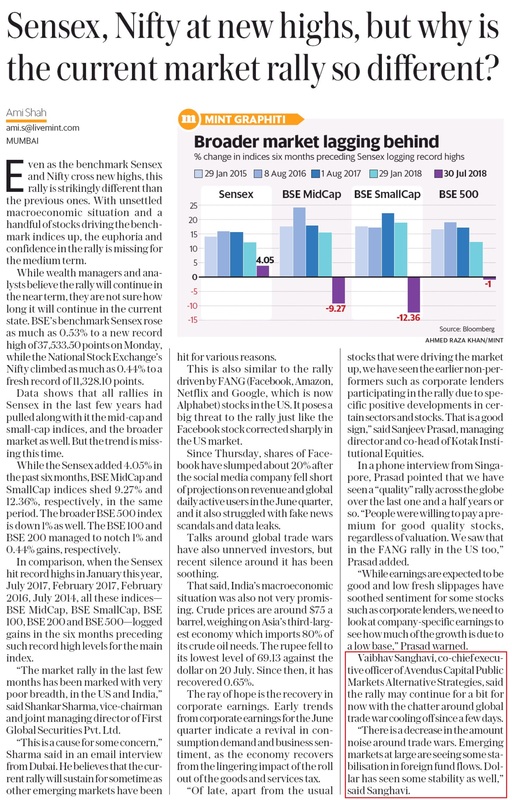 Sensex, Nifty at new highs, but why is the current market rally so different? 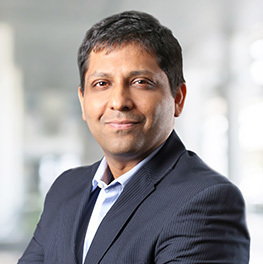 Vaibhav Sanghavi, Co-CEO, Avendus Capital Public Markets Alternate Strategies LLP, speaks on markets, global trade and fund flows to emerging markets. 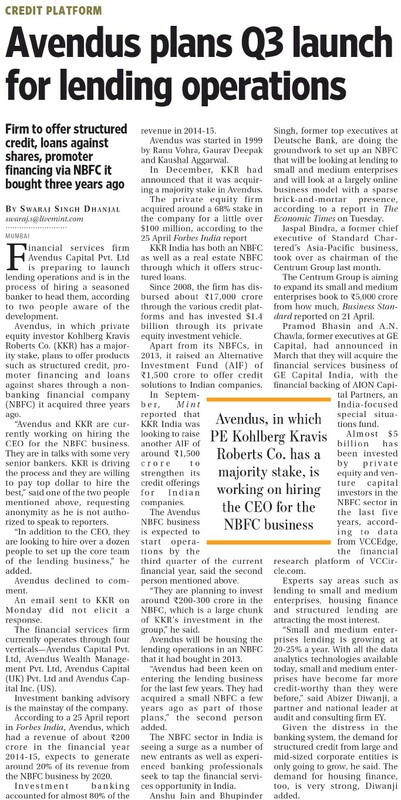 Kaushal Aggarwal details the plans of Avendus Finance, the credit solutions arm of Avendus Capital, to increase the lending portfolio to Rs 20 billion. 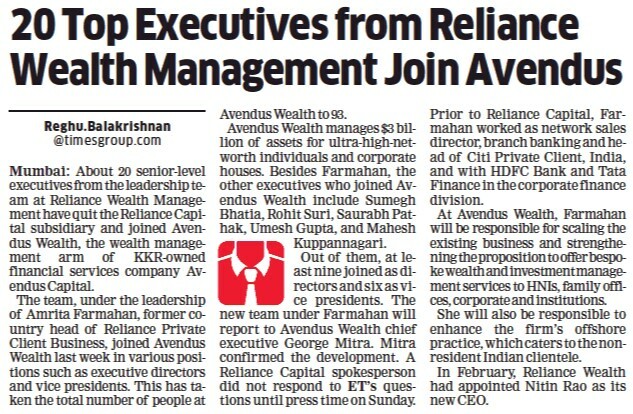 Avendus Wealth Management appoints Amrita Farmahan as Senior Executive Director. Amrita joins along with her team to grow the wealth business of the firm. Andrew Holland, CEO, Avendus Capital Public Markets Alternate Strategies LLP, talks about funds, his investment strategies, performance and AIF as a product. Sandeep Thapliyal, MD and CEO, Avendus Finance speaks on the opportunity for structured finance in India. 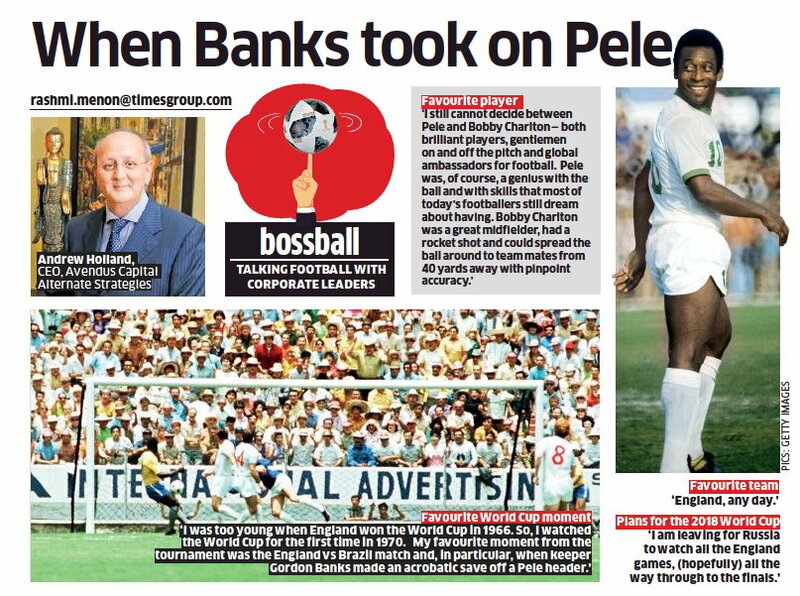 Andrew Holland, CEO, Avendus Capital Public Markets Alternate Strategies LLP, is featured in ET Panache’s column 'BossBall', in which he talks about his most memorable moments of FIFA World Cup. 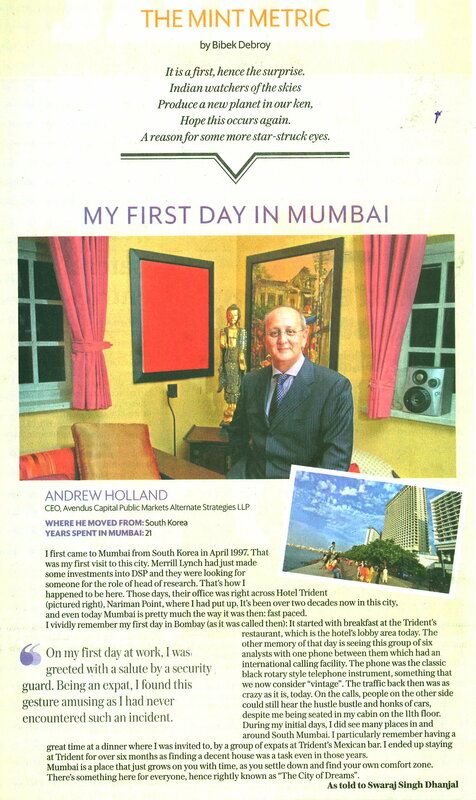 Andrew Holland, CEO, Avendus Capital Public Markets Alternate Strategies LLP, recounts his first few days in Mumbai, a city he calls home for the last two decades. Andrew Holland, CEO, Avendus Capital Public Markets Alternate Strategies LLP, gives his views on markets and macro economy. Andrew Holland, CEO, Avendus Capital Public Markets Alternate Strategies LLP, shares his outlook on recent trends covering subjects ranging from FIIs to the Trump-Kim meet. 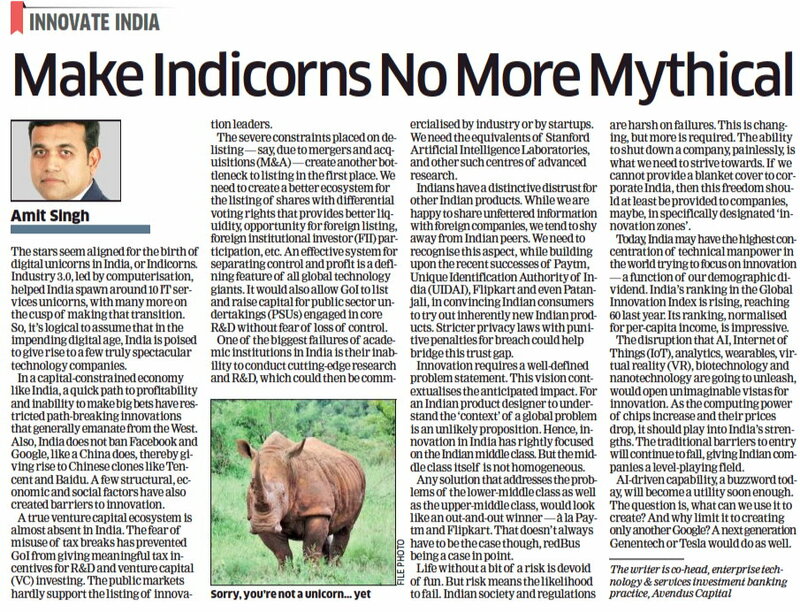 Amit Singh, Executive Director, Investment Banking, Avendus Capital, scans the environment and its impact on building Unicorns in India. It also highlights the importance of innovation as an enabler. 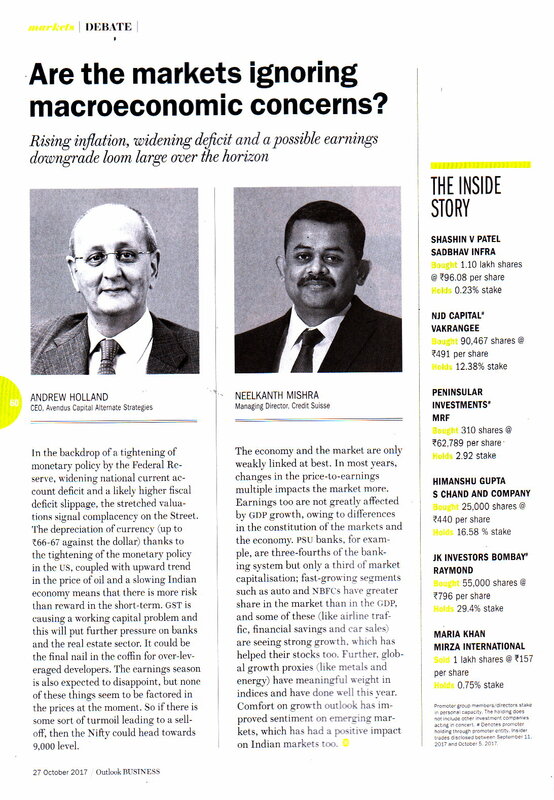 Views on investing in the distressed assets space in India, by George Mitra, CEO, Avendus Wealth Management. 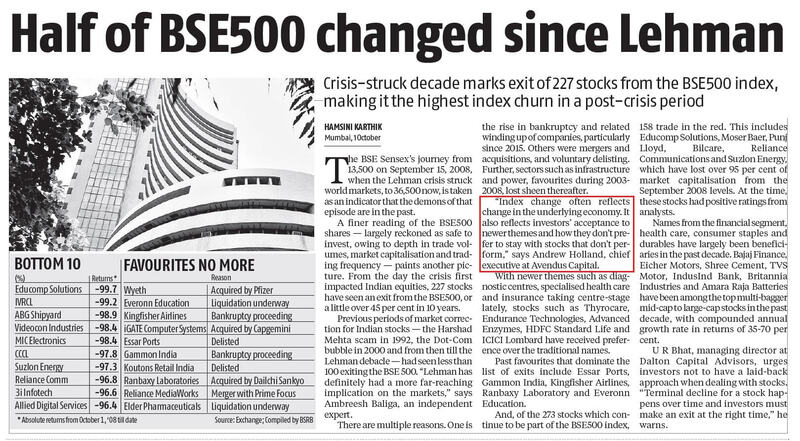 Andrew Holland, CEO, Avendus Capital Public Markets Alternate Strategies, gives his view on the markets. 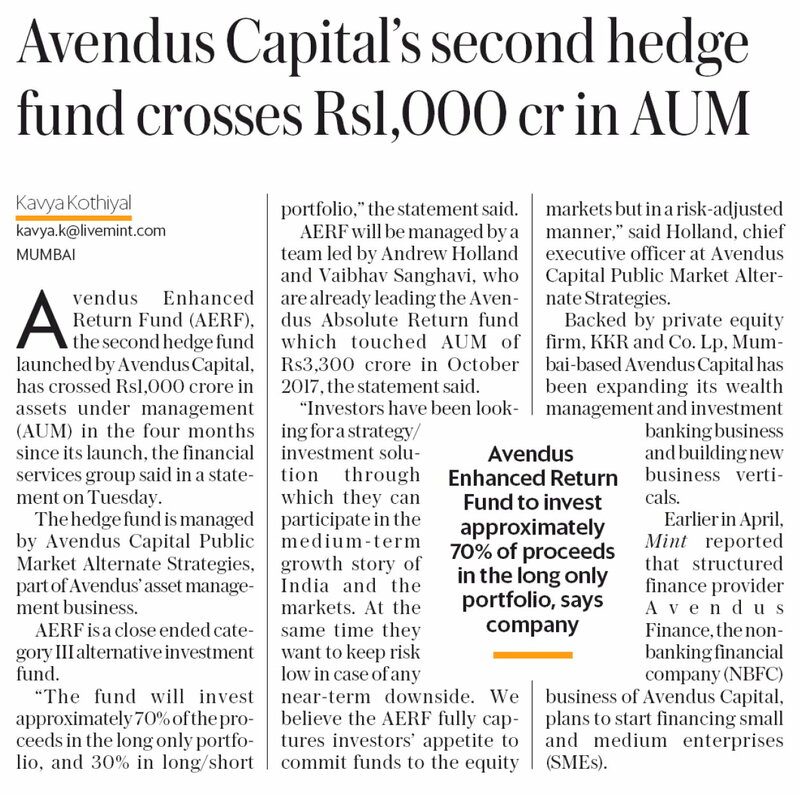 Avendus Enhanced Return Fund (AERF), the second hedge fund launched by Avendus, crosses Rs l,000 crore in assets under management (AUM) in four months since launch. 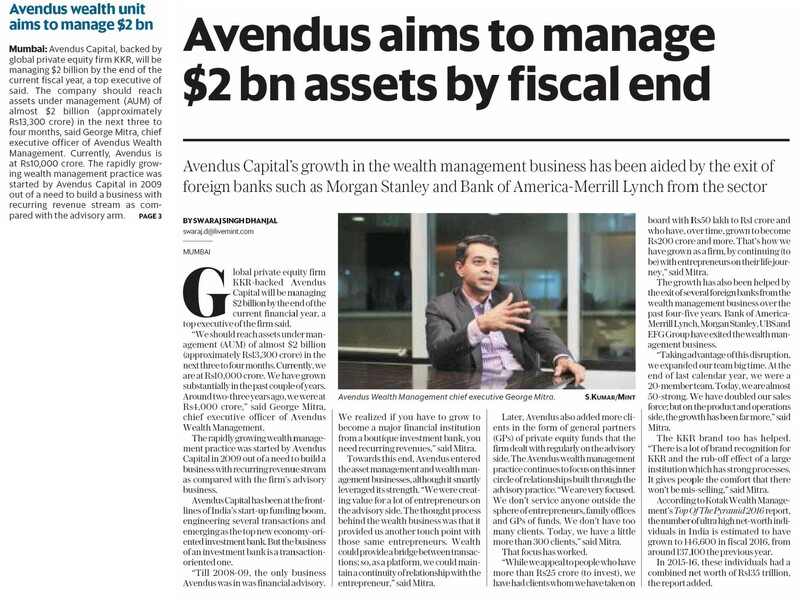 Avendus to raise Rs 3,000 crore more to expand its kitty on alternative investments as it targets family offices, high networth individuals and corporate treasuries to sell its products. 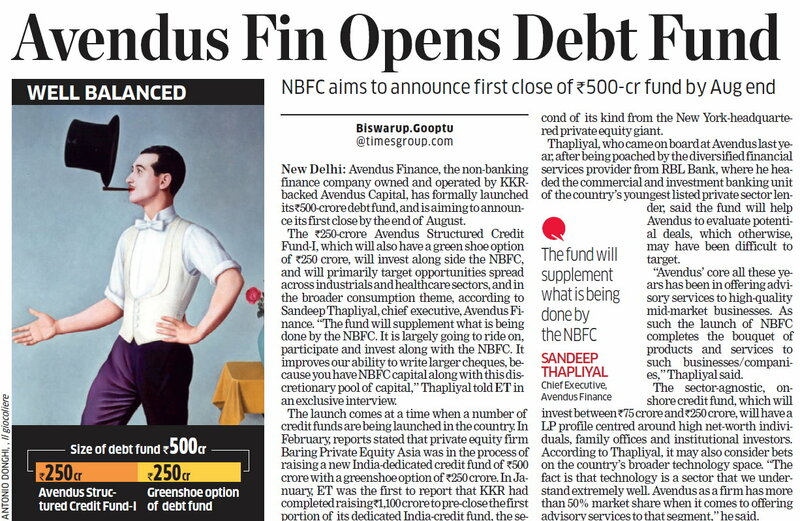 Avendus Finance plans to start financing small and medium enterprises (SME). 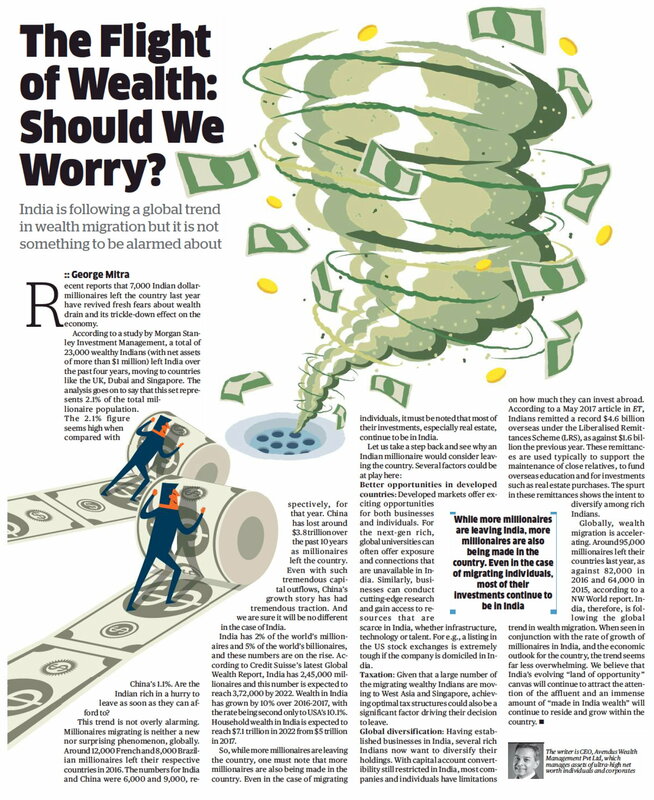 The flight of wealth: should we worry? 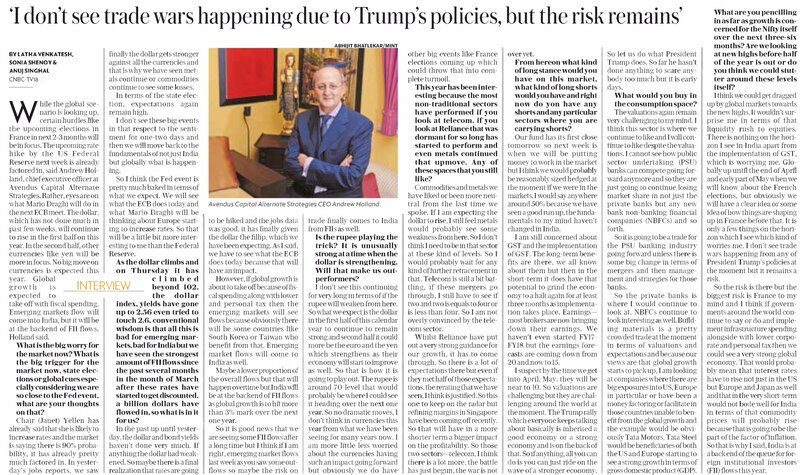 George Mitra, CEO of Avendus Wealth, gives his views on how wealth going out of the country may not be a cause for worry . 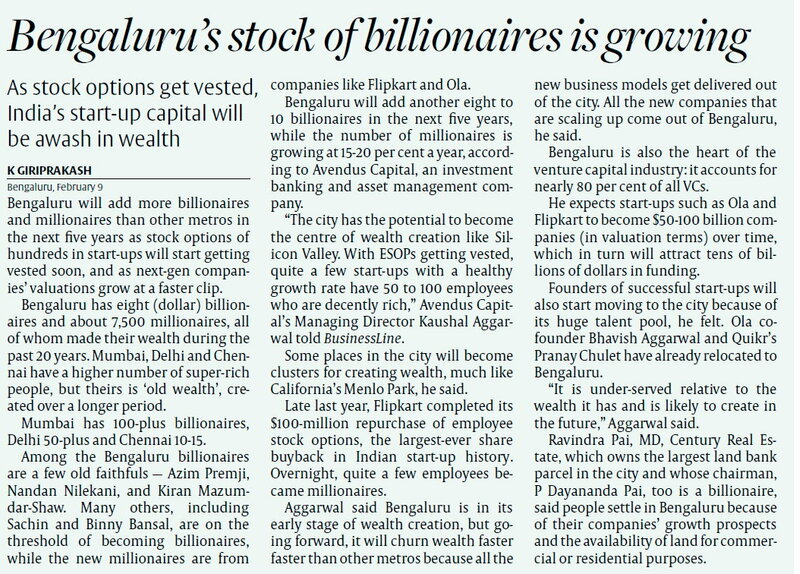 The city has the potential to become the centre of wealth creation, says Kaushal Aggarwal, MD, Avendus Capital. 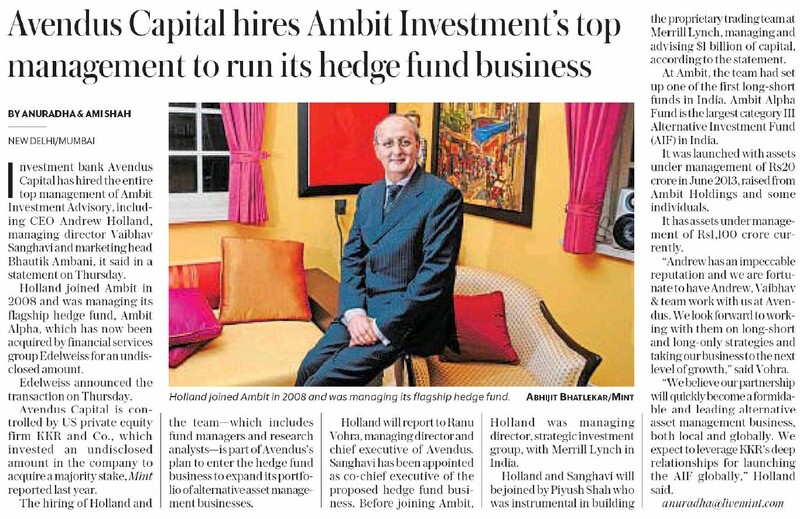 The story talks about Avendus stirring up the Indian hedge fund play with first $1bn AUM. 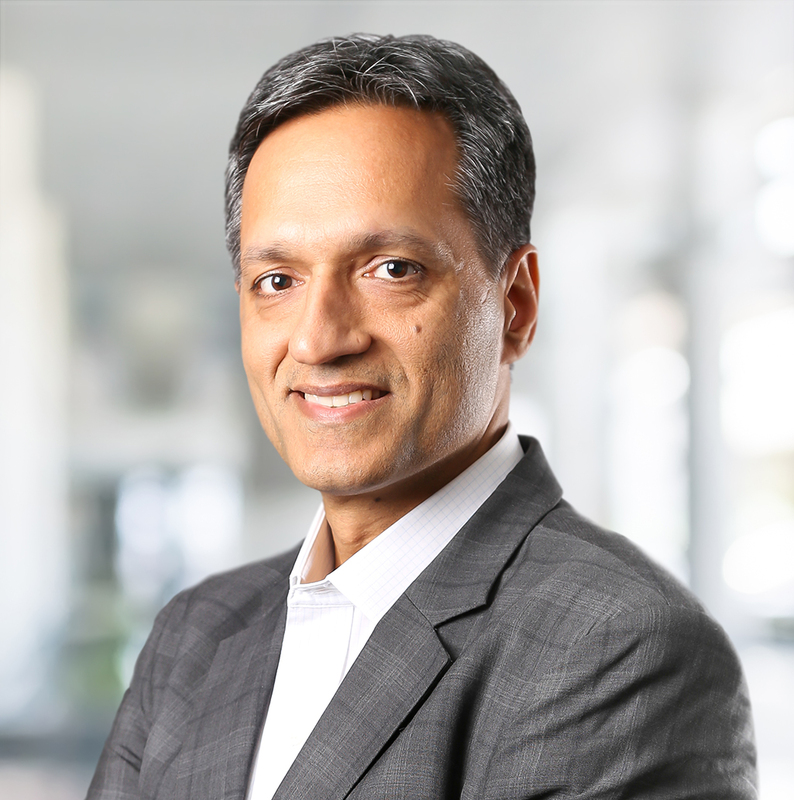 Ranu Vohra, CEO and MD, Avendus Capital, talks of the company's growing focus on alternate investment space and plans to growbusiness in USA and Europe. Smaaash Entertainment, the sports-based entertainment company, raises Rs 90 crore from HNI clients of Avendus Wealth Management . 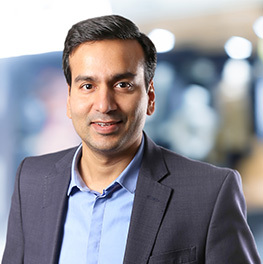 Ritesh Chandra, Executive Director, Investment Banking, Avendus Capital, on the changing retail landscape in smaller Indian towns. 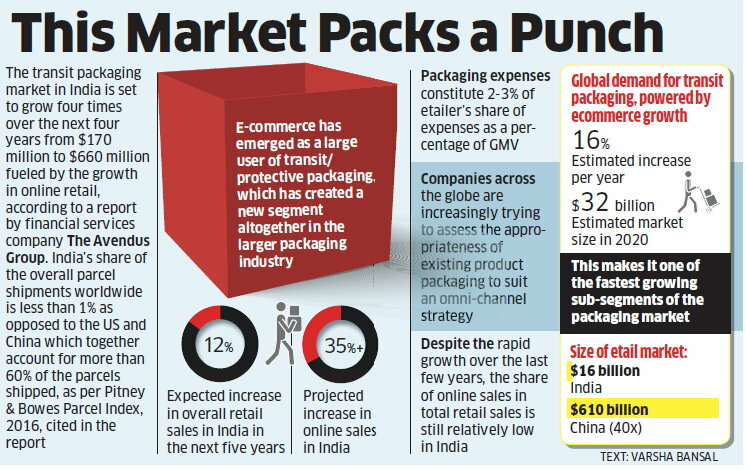 The story highlights the findings of a report on e-commerce and transit packaging industry called 'Packaging 2.0'. 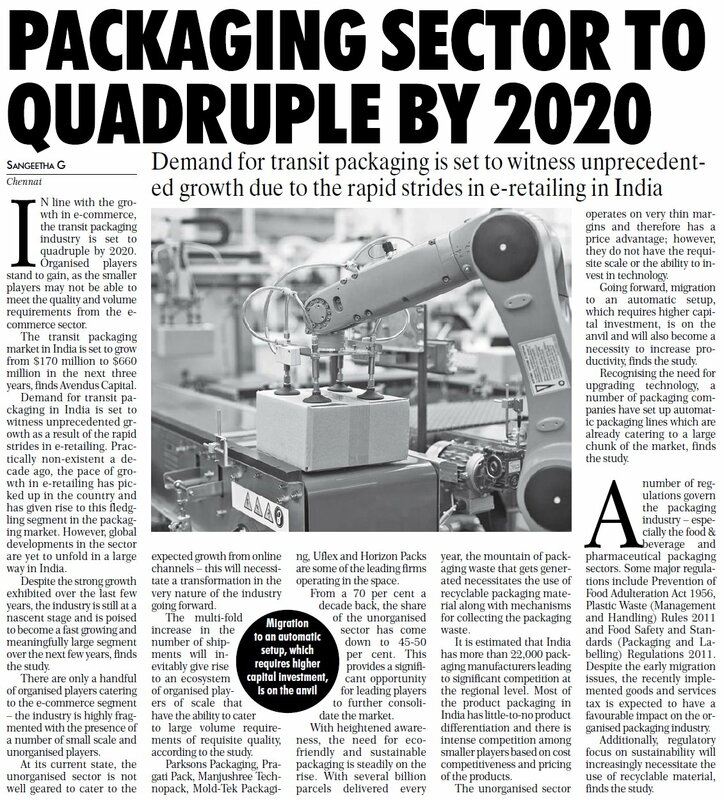 According to the report, transit packaging market in India is set to grow from $170 million to $660 million in the next three years. 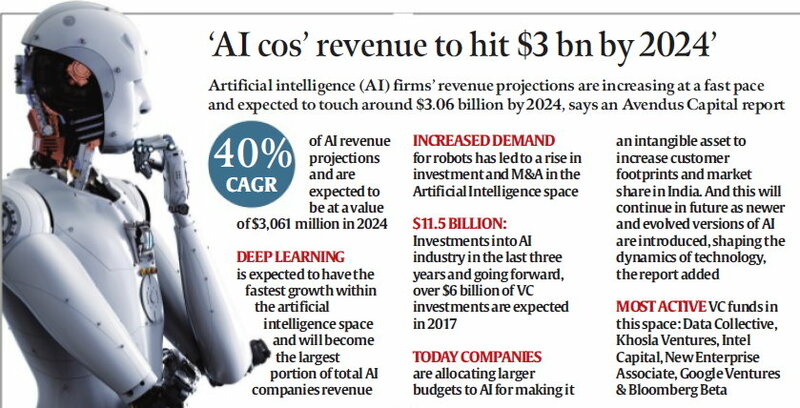 The story outlines the findings of a report on artificial intelligence authored by Avendus Capital. An Avendus report on packaging and logistics is represented as an infographic. 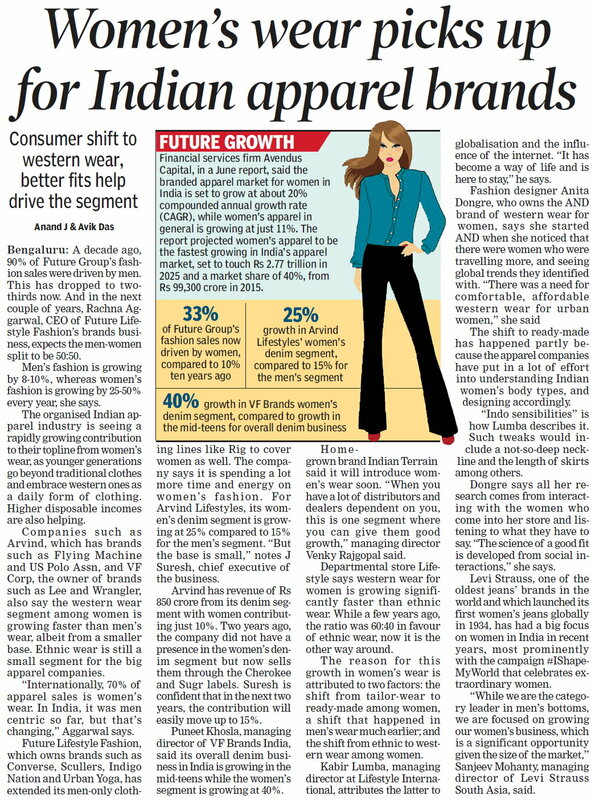 The story highlights the findings of a report on women's apparel authored by Avendus Capital. An article authored by Preet Singh, Executive Director, Avendus Capital on the flavours , fragrances and nutraceuticals industry in India. 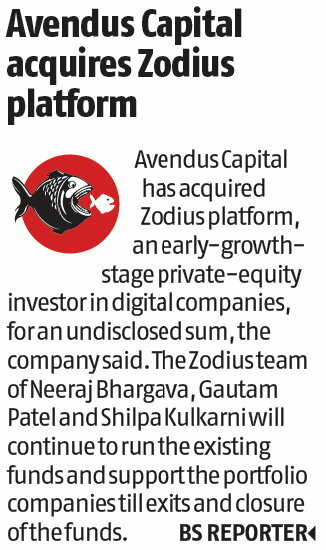 Avendus Capital acquires technology-focused PE platform, Zodius. 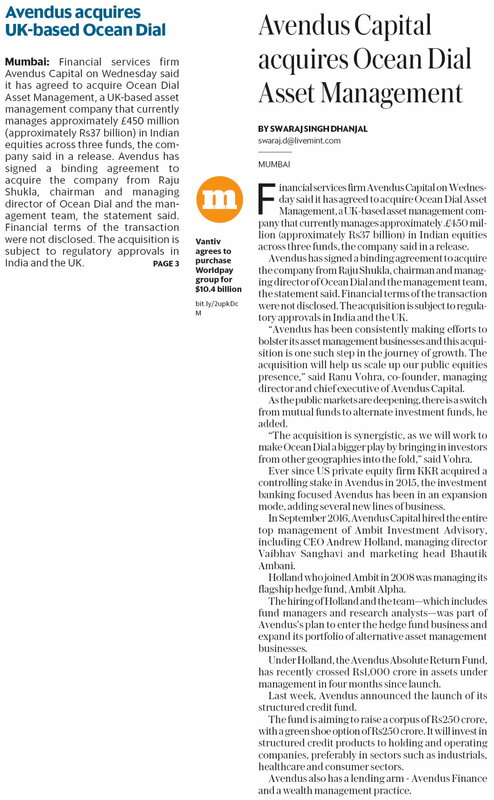 The story talks about Avendus Capital getting Rs 980 cr funding from KKR and Gaja Capital. Harmeet Sahney, Executive Directory, Avendus Wealth Management talks of the interest of HNIs in Kolkata in alternative investments. Are the markets ignoring macroeconomic concerns? A debate column featuring views of Andrew Holland, CEO, Avendus Capital Public Markets Alternate Strategies, on markets. 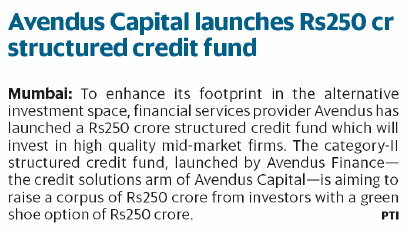 Avendus Absolute Return Fund, a hedge fund launched by Avendus Capital raises a corpus of Rs 2,300 crore in just over six months since its launch. Views of Andrew Holland, CEO, Avendus Capital Public Markets Alternate Strategies, on markets and Alternative Investments. An infographic based on the findings of an Avendus report on Artificial Intelligence. "Views of Andrew Holland, CEO, Avendus Capital Public Markets Alternate Strategies, on markets and Alternative Investments. " 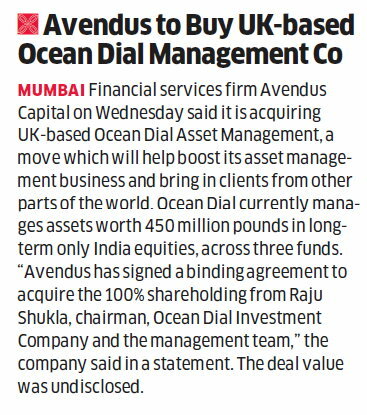 Avendus Capital to acquire Ocean Dial Asset Management, a UK-based asset management company that currently manages approximately 450 million pounds in Indian equities across three funds. 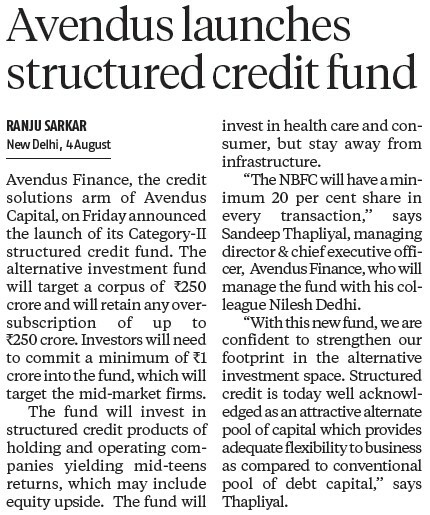 Avendus Finance, the credit solutions arm of Avendus Capital, announces the launch of its Category-II structured credit fund. 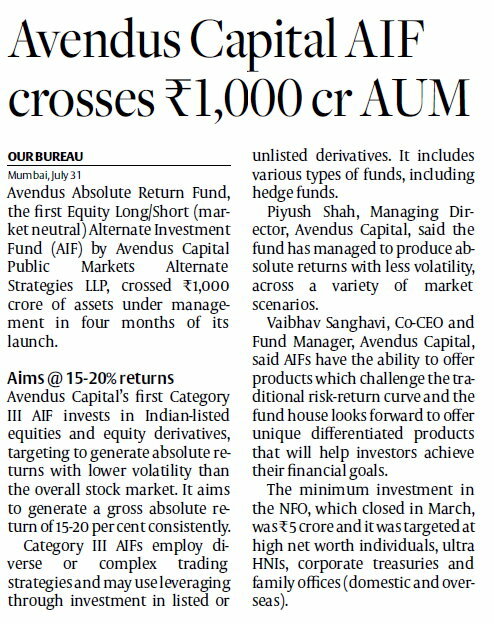 Avendus Absolute Return Fund, the first equity long/short Alternate Investment Fund (AIF) by Avendus Capital Public Markets Alternate Strategies LLP, crosses Rs 1,000 crore of assets under management in four months of its launch. 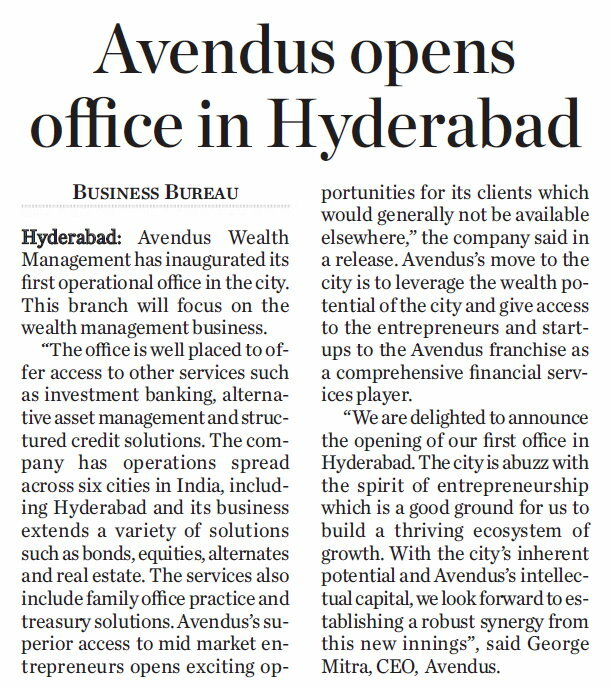 Avendus Wealth Management goes live in Hyderabad. Andrew Holland, CEO, Avendus Capital Public Markets Alternate Strategies, discusses the performance of hedge funds in India vis-a-vis other countries. 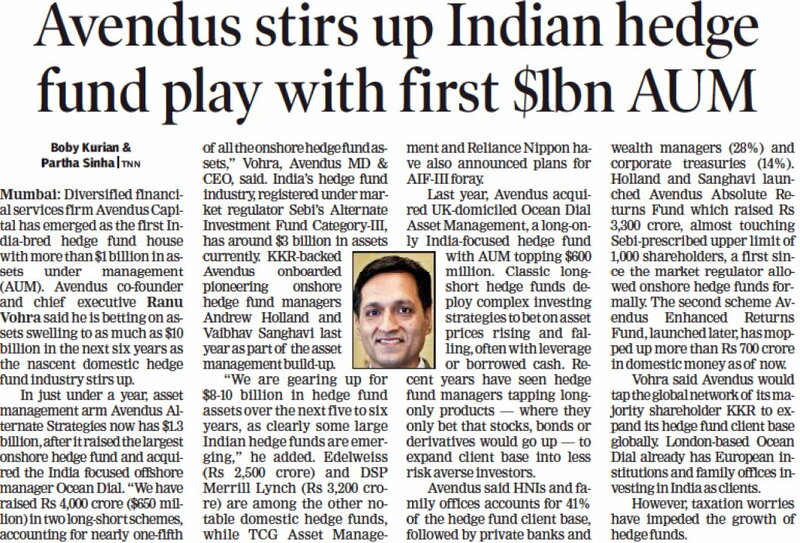 Andrew Holland, CEO, Avendus Capital Public Markets Alternate Strategies, discusses the performance of hedge funds in India vis-a-vis other countries . Andrew Holland, CEO, Avendus Capital Public Markets Alternate Strategies, expresses concerns about earnings in FY18 linked to GST. Andrew Holland, CEO, Avendus Capital Public Markets Alternate Strategies on the road ahead for Indian markets in the coming financial year. 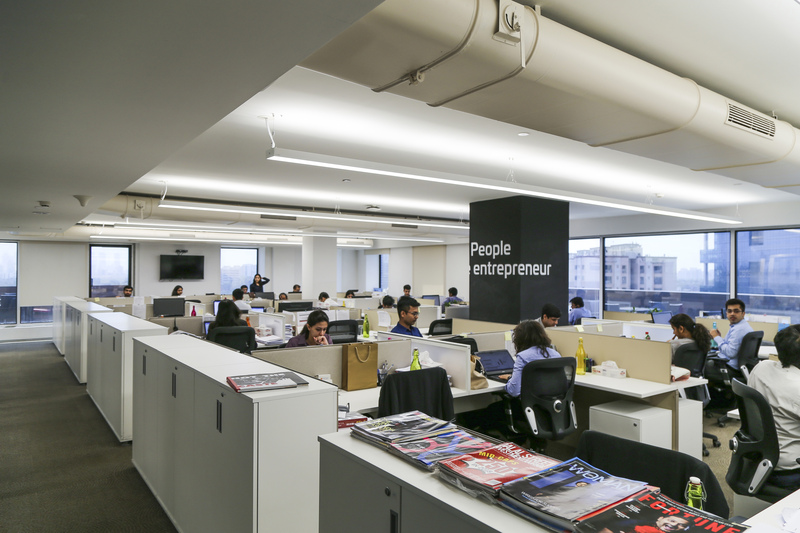 Why is Avendus Capital behind most large e-commerce deals in India? 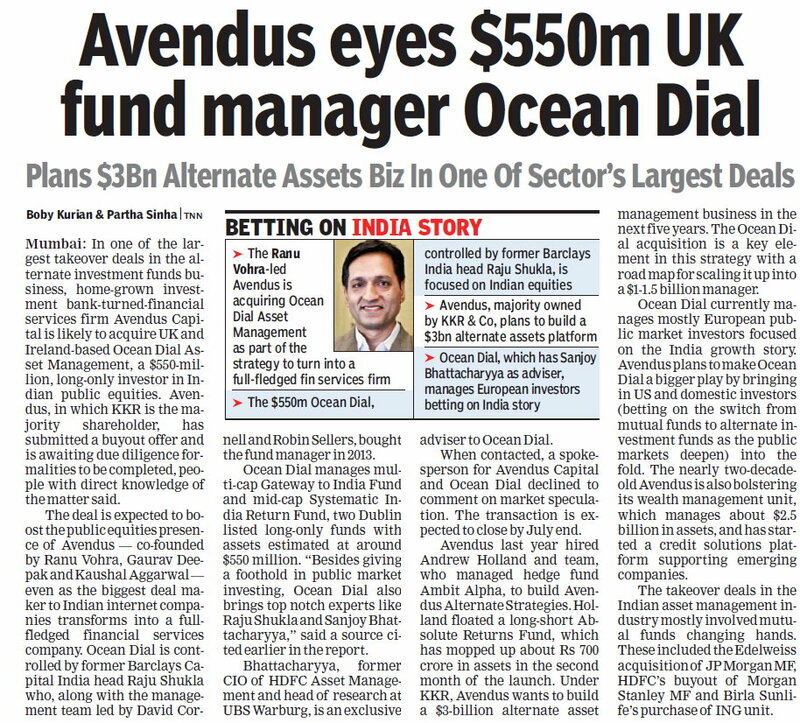 Avendus Capital's likely acquisition of UK fund manager Ocean Dial Asset Management. The report termed it as one of the largest takeover deals in the alternate investment funds business. 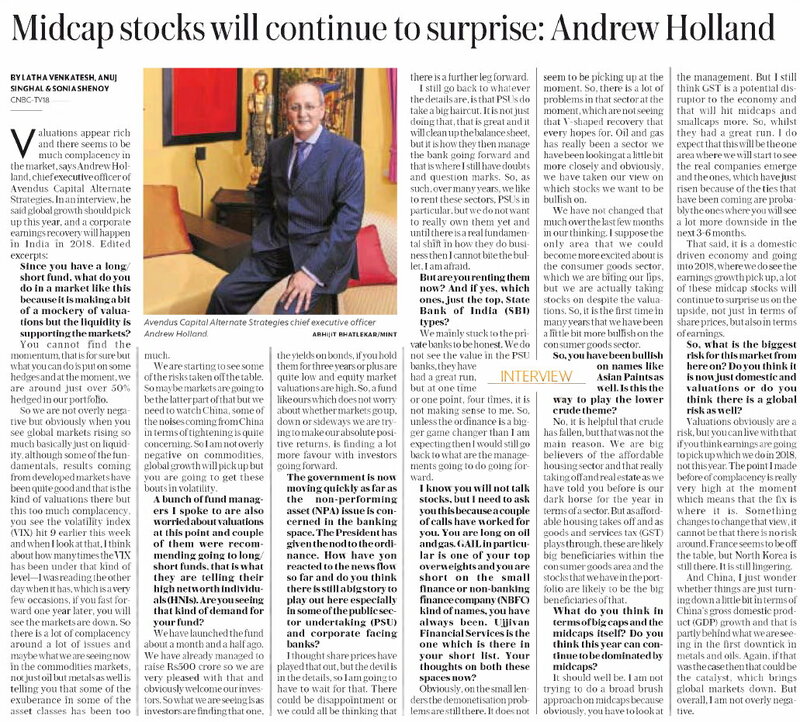 Andrew Holland, CEO, Avendus Capital Public Markets Alternate Strategies, on the performance of Indain markets and how other markets are not far behind. Andrew Holland, CEO, Avendus Capital Public Markets Alternate Strategieson how hedge funds need a level playing field. 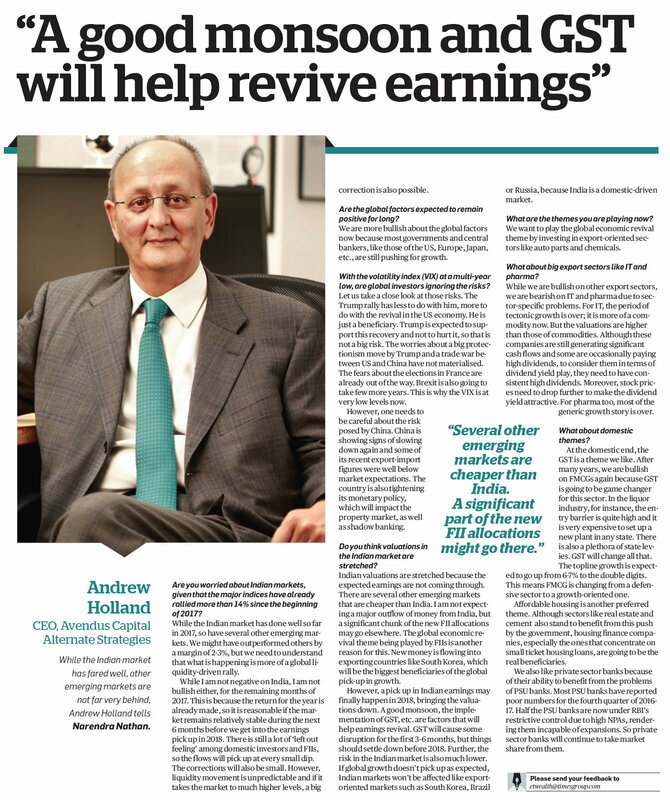 Andrew Holland, CEO, Avendus Capital Public Markets Alternate Strategies on valuations, NPAs and more. 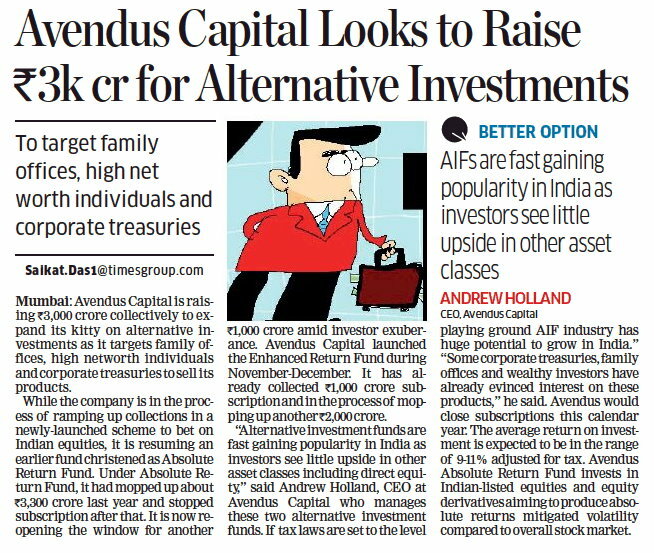 Avendus Capital's first category III alternative investment fund, launched two months ago, crossing the milestone of Rs 500 crore of AUM. 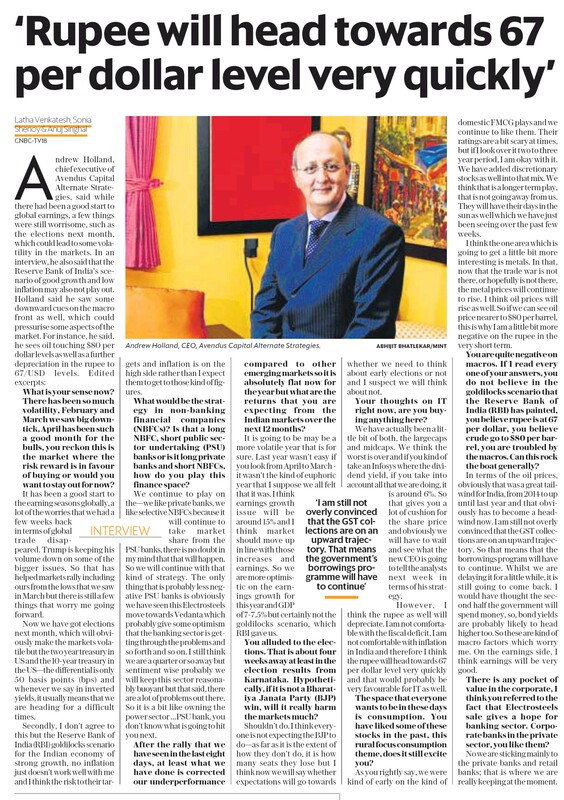 George Mitra, CEO, Avendus Wealth Management, talks of the firm's business in the city of Kolkata. Andrew Holland, CEO, Avendus Capital Public Markets Alternate Strategies on markets. 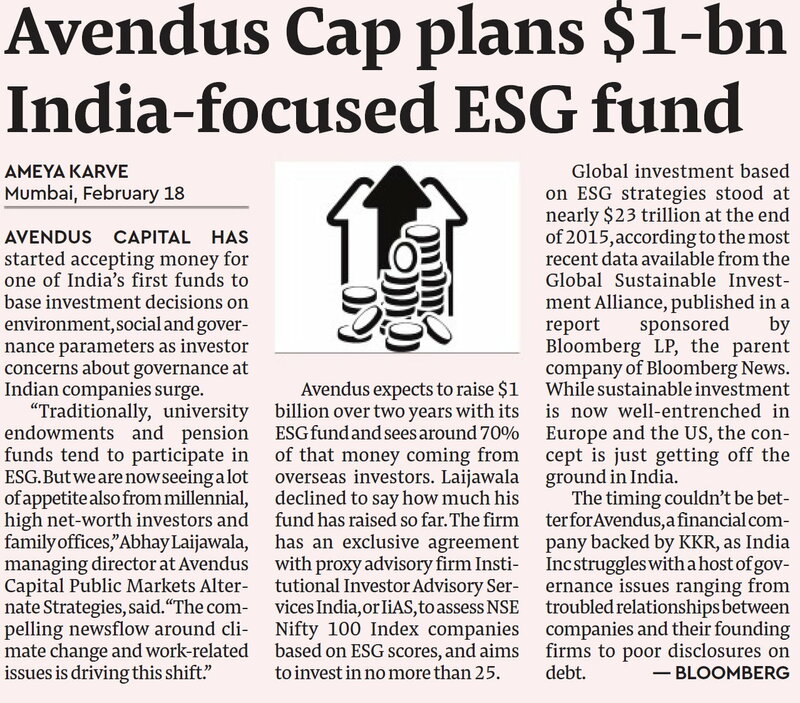 The story talks about Avendus Capital Public Market Alternate Strategies planning to launch its first Category III alternative investment fund (AIF) after a final approval from the Securities and Exchange Board of India. 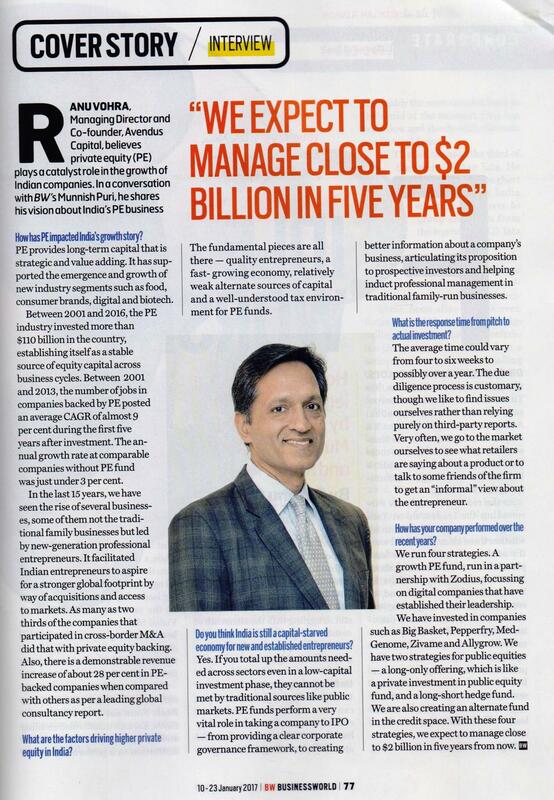 Views of Ranu Vohra, MD and CEO, Avendus Capital on the growth and expansion plans for the firm. 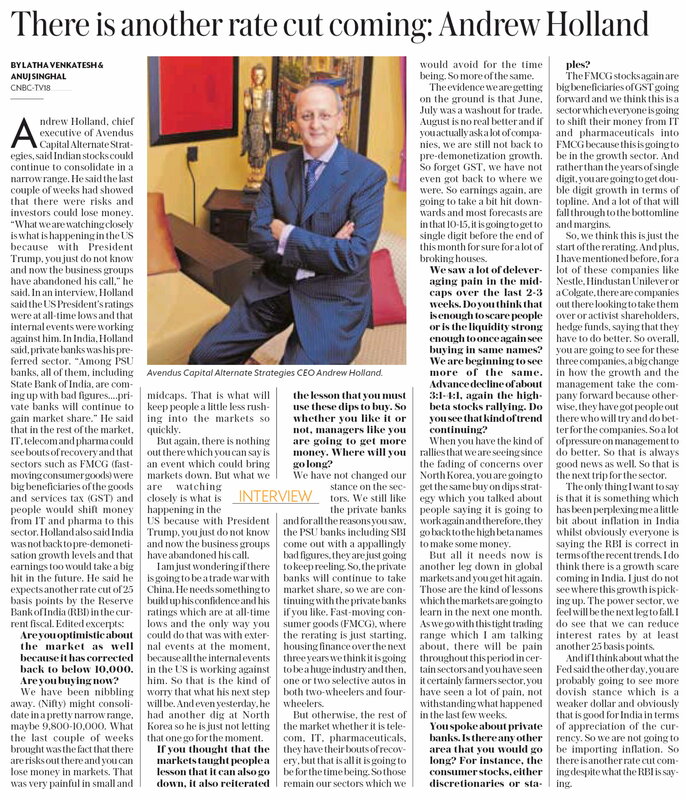 Andrew Holland, CEO, Avendus Capital Public Markets Alternate Strategies, on the Union Budget and markets at large. 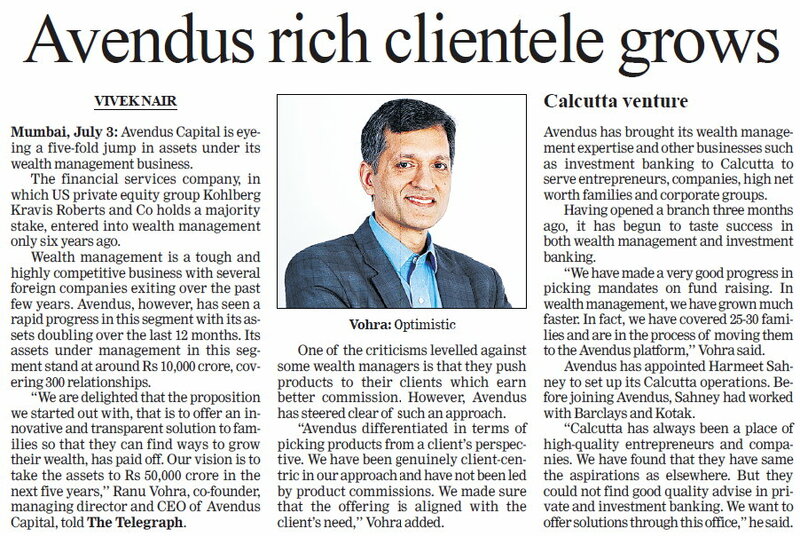 Ranu Vohra, MD and CEO, talks about Avendus Capital's growth plans. 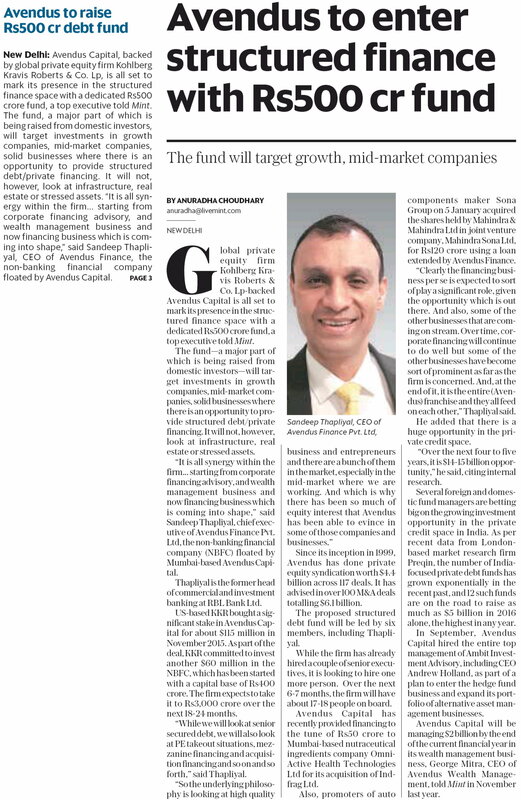 Sandeep Thapliyal, CEO Avendus Finance, on its entry in the structured finance space with a dedicated Rs 500 crore fund. 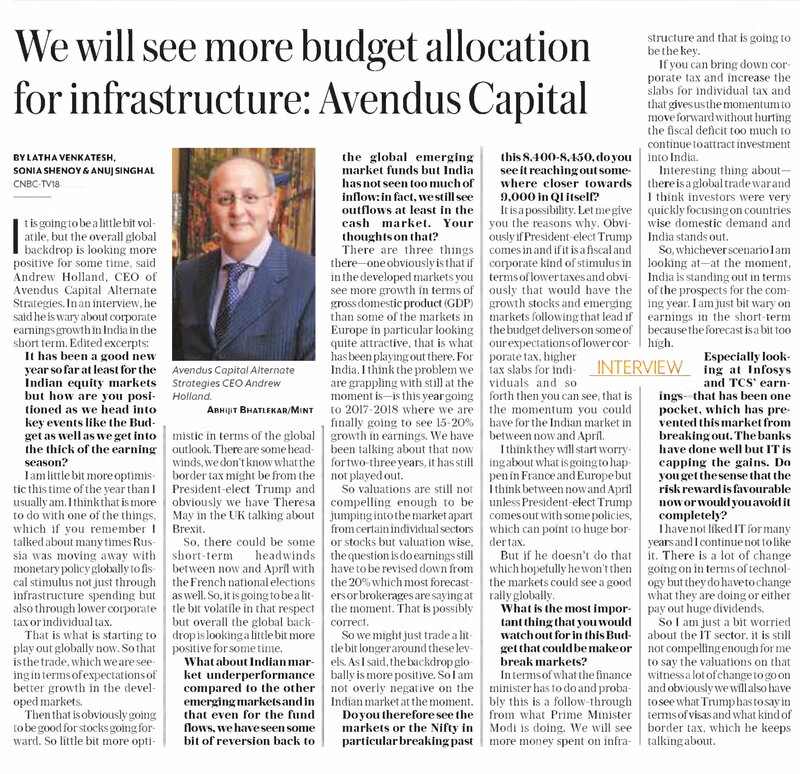 Views of Andrew Holland, CEO, Avendus Capital Public Markets Alternate Strategies on the Union Budget and markets. 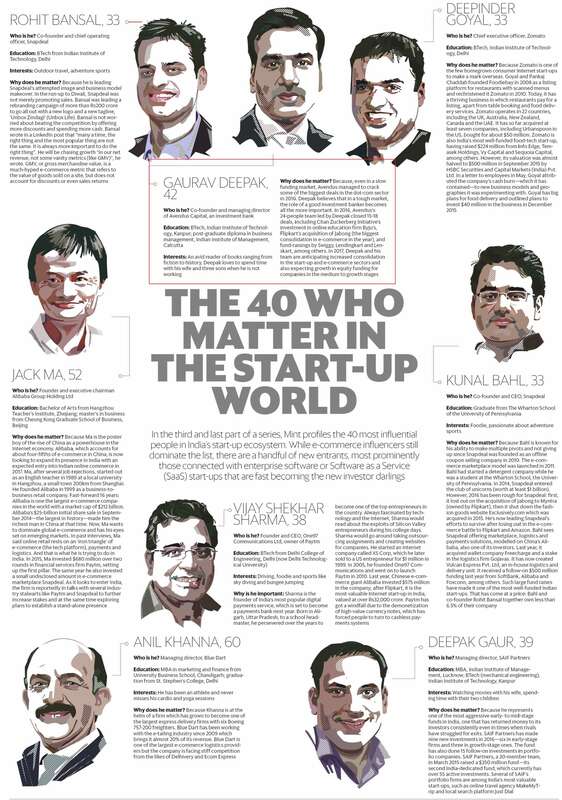 Gaurav Deepak, MD, Avendus Capital, features in the 40 most influential people in India's start-up ecosystem. 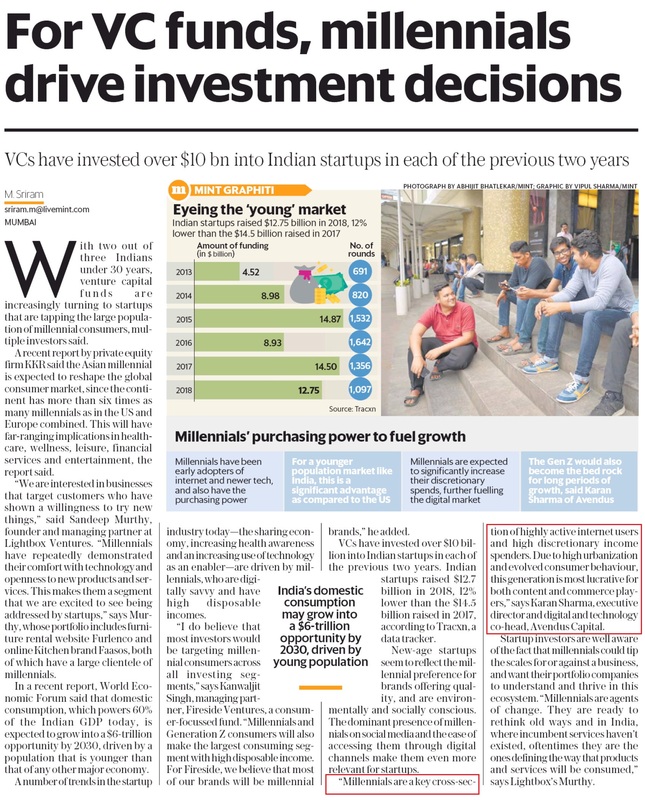 Is India's tech driven logistics startups the next big opportunity for investors? 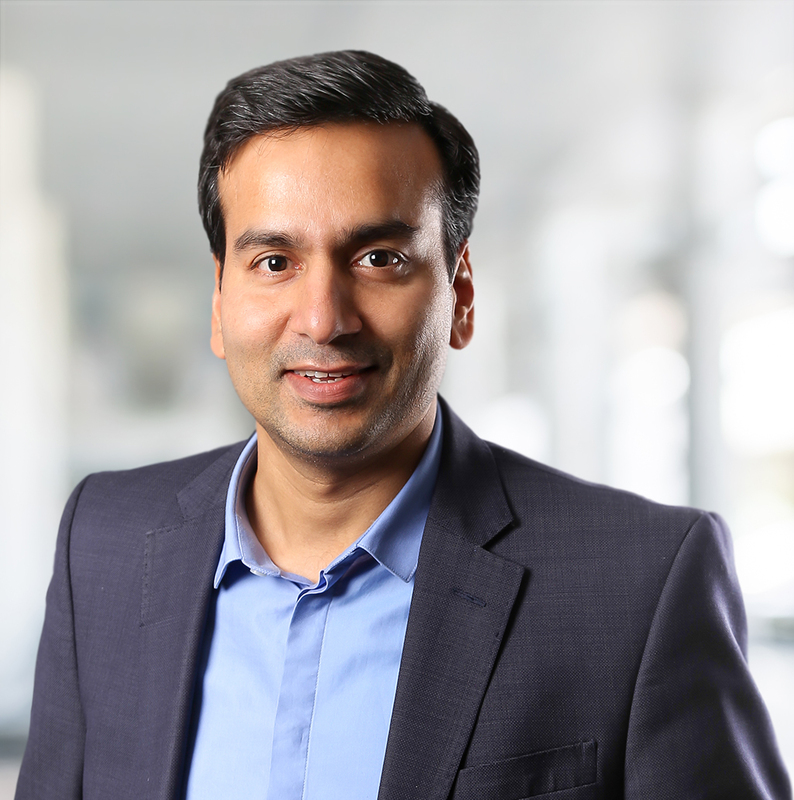 "Avendus plans Q3 launch for lending operations "
Sandeep Thapliyal appointed as the managing director and chief executive officer of Avendus Finance. 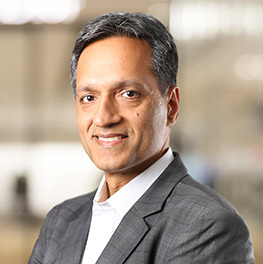 George Mitra, CEO, Avendus Wealth Management, unveils the strategy of the firm and its vision for the business. 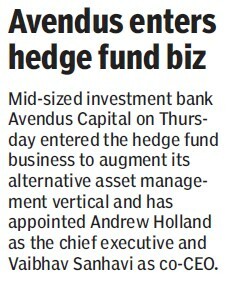 Avendus Capital enters the hedge fund business to augment its alternative asset management vertical and appoints Andrew Holland CEOand Vaibhav Sanghavi as co-CEO. 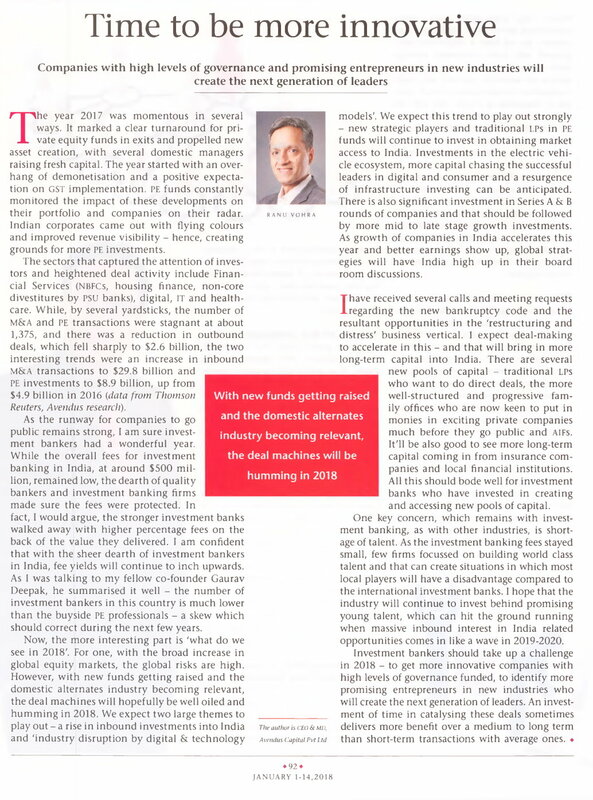 Ranu Vohra, MD and CEO, Avendus Capital on how the financial markets would shape up in 2050. 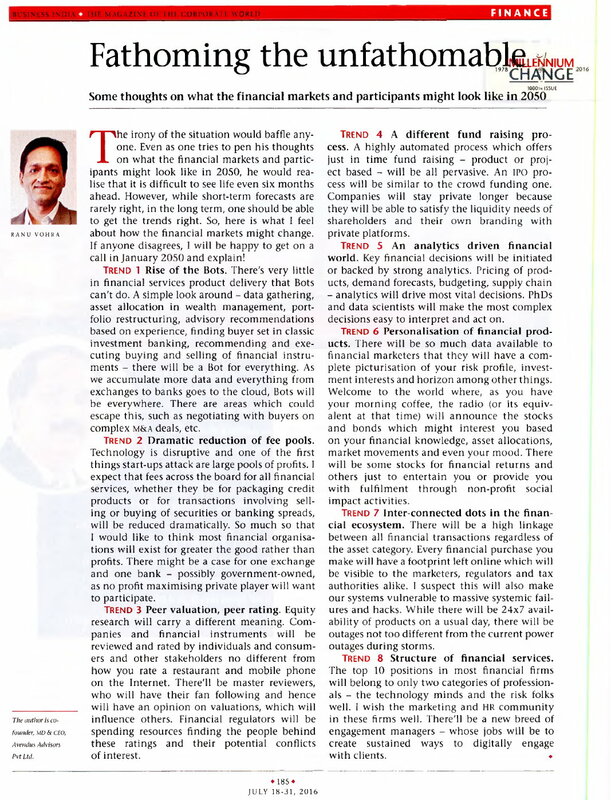 Ranu Vohra, MD and CEO, Avendus Capital, on the plans for the wealth management business. KKR invests in Avendus Capital. A bolder logotype defines the confidence our brand has while taking significant business decisions. 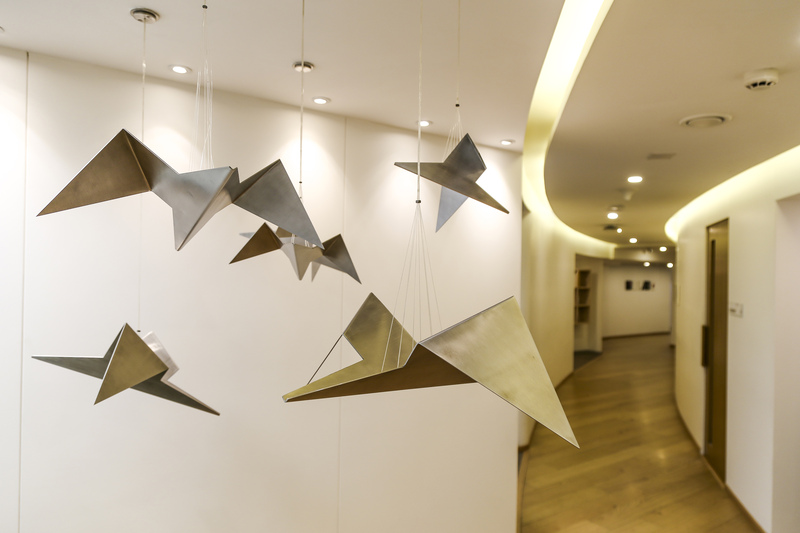 The inseparable symbol of caret has been associated with our brand since years. It perfectly frames the progressive attitude of the brand. A wider form of the caret implies our broad-based solutions, yet aspiring to achieve exponential heights in the markets and sectors we operate in. 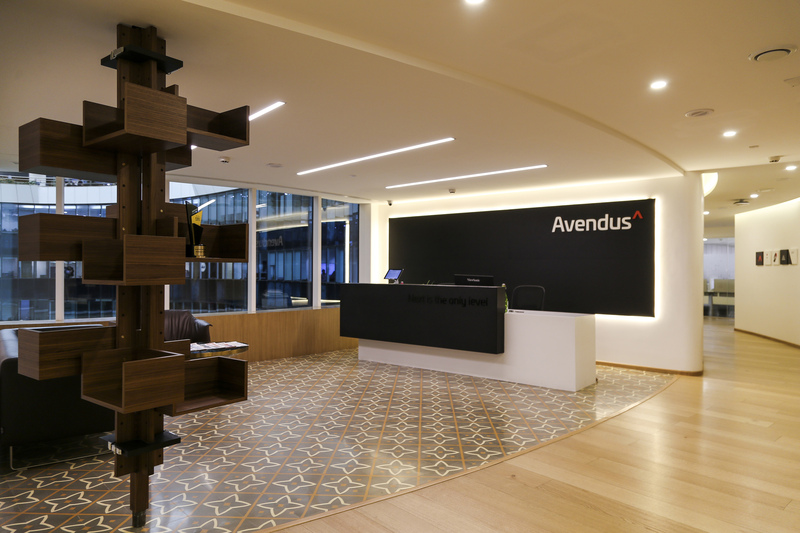 Avendus factsheet represents the firms performance in all its four businesses as well as on the group level. Download the factsheet to keep yourself updated with the firm’s progress. 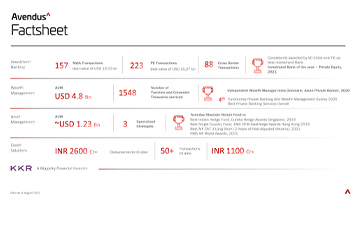 The factsheet can be used as a source to quote stats and figures of the performance by the firm. Imagery to represent Avendus for editorial use only.